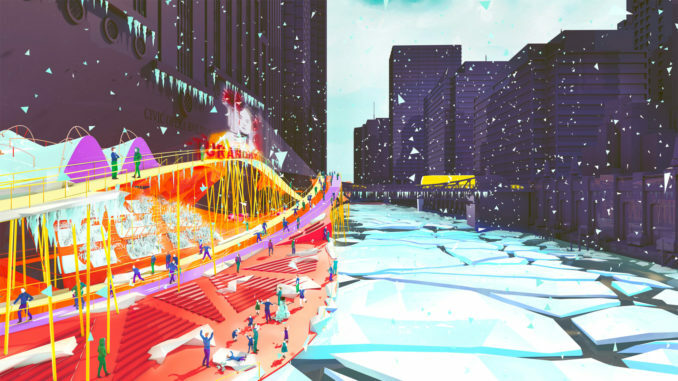 Nine design firms have developed 27 visionary ideas for Chicago’s riverfront in the River Edge Ideas Lab exhibit as part of the Chicago Architecture Biennial. 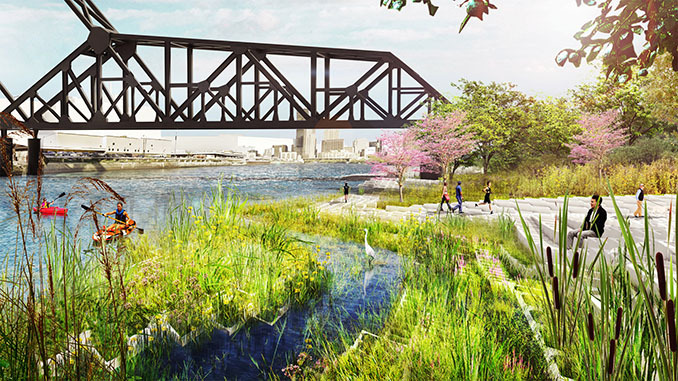 The River Edge Ideas Lab features development concepts from for three iconic locations: the Civic Opera House waterfront; beneath the Congress Parkway bridge; and below the St. Charles Air Line Bridge. 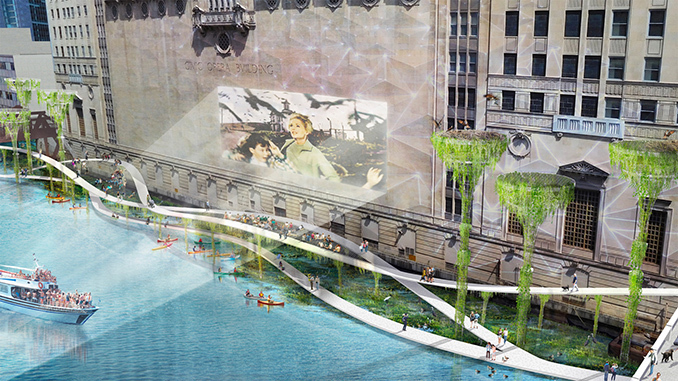 Each location represents a unique challenge to the Riverwalk’s potential 1.8-mile extension from the main branch to Ping Tom Park in Chinatown. 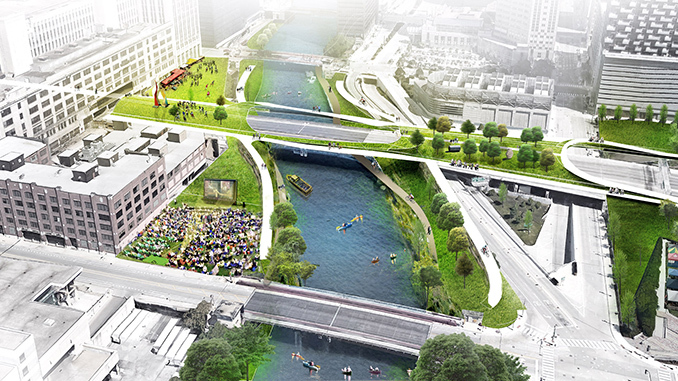 The City of Chicago – Department Planning and Development will incorporate public feedback from the River Edge Ideas Lab into updated River Design Guidelines in 2018; the guidelines were initially adopted in 1999 and last amended in 2005. 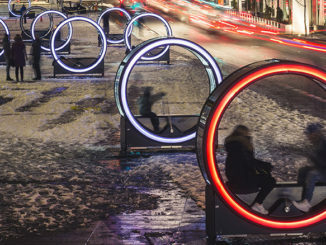 The updated 2018 guidelines will offer best practices to create a continuous pedestrian and bicycle path with accessible connections and open spaces incorporating integrated landscaping, artwork and lighting. The River Edge exhibit is a traveling exhibit opened on September 18 and will be moving every two week until January 4. There will also be presentations by each of the design firms on various dates between now and December 12.